"Does God simply give you the gift you need to be useful in his kingdom?" For Dan Nolta the answer is "no." Nolta grew up in a family torn apart by alcohol and divorce. Restlessness and longing first ate a hole in Nolta’s soul but eventually chased him not only to Jesus but also to his unique giftedness and "divine appointment." "No life experience is a throwaway with God," Nolta states. "With God, nothing is wasted—neither the good times nor bad times, neither the pain nor the privilege." In Compassion—The Painful Privilege, Nolta shares the process through which God gifted him with compassion and led him to work in the Pierce County (Washington) Sheriff’s Department as a chaplain. Vivid examples from Nolta’s ministry will give you a front row seat to see the inherent costs of exercising compassion—the stress, vicarious suffering, and fatigue. Nolta lets you in on what he’s learned about persevering through the difficulties of the compassionate life, and how to enjoy the rich rewards with appropriate humility. This book can be purchased either from the publisher (Barclay Press) or from Amazon. We've included a link for Amazon. The book is at the reasonable price of $12 per copy in paperback. 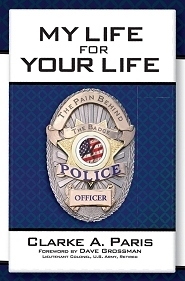 For the first time ever, a book written to memorialize Police Officers who have taken their lives as a result of the pain and anguish caused by their chosen profession: law enforcement. Readers will learn of the struggles that not only the featured officers endured, but also the struggles that a large majority of officers and their families endure as they travel down the path of police work. First responders make the difference between life and death for trauma victims. But what is often not recognized is that when disaster strikes, spiritual caregivers are often among those first on the scene. For these caregivers response should also help propel survivors toward positive transformation. 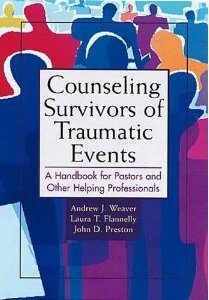 This book focuses on critical responses that are key in the aftermath of natural disaster, community violence, personal injury, and crime. These basics include: the power of presence, safety, assessment and triage, how we help, putting the pieces together, telling the story, hope, and caring in the long haul.